The more assets there are to trade, the more profit opportunities you can have. At Ikko Trader, we give our clients the opportunity to trade binary options on a wide variety of assets. We have an extensive and ever-growing selection of assets including stocks, commodities, indices and currencies. Check out Ikko Trader asset index to see the complete list of assets available for trading. One of the most important things you need to know before you start your trades is the assets in which you are going to trade. More assets mean diversified trades, and diversified trades mean more earning opportunities. Ikko Trader asset index is a home to over 60 assets in which you can carry out your binary options trading and includes top traded assets in the market. In addition, Ikko Trader asset index lists the trading hours for each asset, Reuters code, expiry rate rules and general information about these assets. We have provided these details so you can easily get acquainted with the assets that we offer on our platform. Assets as we all know, are divided into four main categories: stocks, commodities, currencies and indices. There are 20 stocks from all over the world are included in our list. These include the hottest stocks such as Google, Apple, Microsoft and Coca-Cola. We also have a diverse collection of currency pairs, perfect for our Ikko Trader Forex traders who want to earn quick returns. Ikko Trader asset index houses 13 currencies, which includes major currency pairs, emerging market currency pairs and currency crosses. Currencies from the emerging economies such as South African Rand (ZAR), Egyptian Pound (EGP), Singapore Dollar (SGD), Turkish Lira (TRY), Russian Ruble (RUB) and Brazilian Real (BRL) are featured in our list. Digital Forex trading is a whole lot simpler and more lucrative than the traditional Forex market. This perfectly fits our pro-currency traders who want to get quick investment returns. Four commodities are also included in our list; petroleum, platinum, oil and silver. There are also a huge number of indices from United States, Europe, Asia and Middle East. Choose from our comprehensive list of indices, trade NASDAQ Future, S&P 500, FTSE 100 Dow Jones and more. We aim to expand our asset index. If you have suggestions about the assets which are not offered on our platform, feel free to contact us by mobile phone or e-mail and we will do our best to add your requested asset. Ikko Trader asset index features the hottest assets and market trends every week to give you an idea on which assets offer the most rewarding payouts. Know which assets are trending and where and who’s investing on which assets. We will also provide you with trading resources such as live market news and daily market reviews so you can study the market and pick your area of strength. Knowing your asset class gives you higher chances of profitability since you already know their volatility and major features. 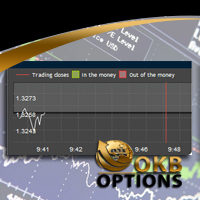 Only a few binary options brokers offer an extensive range of assets and Ikko Trader is not exempted from this issue. Having a comprehensive list of assets allows you to choose a specific target market in which you are comfortable to trade Ikko Trader.